New paper (behind paywall) Genetic variation in populations from central Argentina based on mitochondrial and Y chromosome DNA evidence, by García, Pauro, Bailliet, Bravi & Demarchi, J. Hum. Genet (2018) 63: 493–507. We present new data and analysis on the genetic variation of contemporary inhabitants of central Argentina, including a total of 812 unrelated individuals from 20 populations. 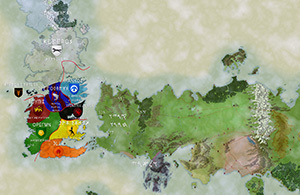 Our goal was to bring new elements for understanding micro-evolutionary and historical processes that generated the genetic diversity of the region, using molecular markers of uniparental inheritance (mitochondrial DNA and Y chromosome). 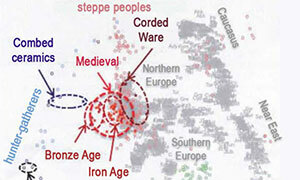 Almost 76% of the individuals show mitochondrial lineages of American origin. 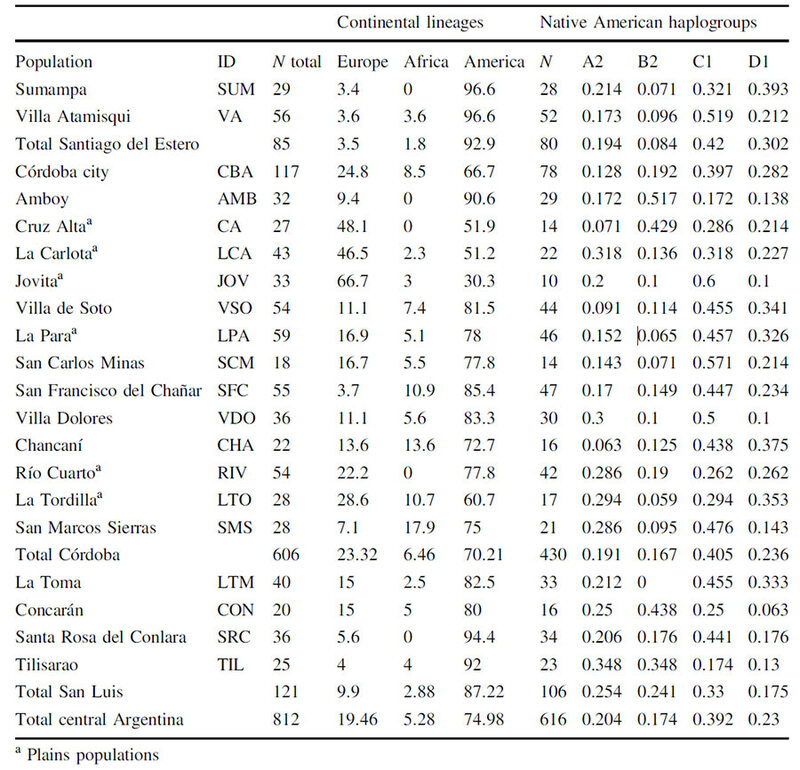 The Native American haplogroups predominate in all surveyed localities, except in one. 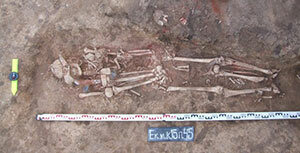 The larger presence of Eurasian maternal lineages were observed in the plains (Pampas) of the southeast, whereas the African lineages are more frequent in northern Córdoba. 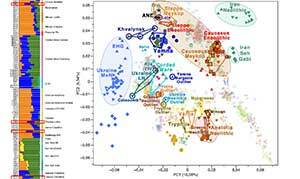 On the other hand, the analysis of 258 male samples reveals that 92% of them present Eurasian paternal lineages, 7% carry Native American haplogroups, and only 1% of the males show African lineages. 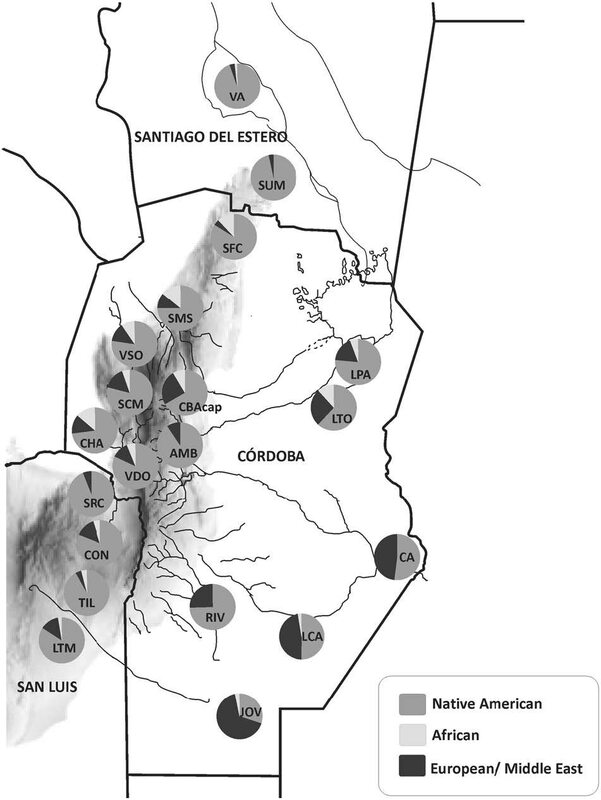 The maternal lineages have high genetic diversity homogeneously distributed throughout central Argentina, probably as result of a recent common origin and sustained gene flow. 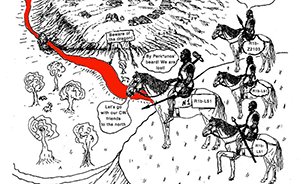 Migratory events that occurred in colonial and recent times should have contributed to hiding any traces of differentiation that might have existed in the past. 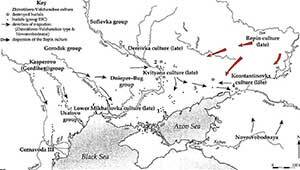 The analysis of paternal lineages showed also homogeneous distribution of the variation together with a drastic reduction of the native male population. Maps showing continental mtDNA haplogroups frequencies in 20 population samples from central Argentina. References for populations abbreviated names are from the tables. The immigration waves had less impact in the north–central and northwestern regions, the most populated areas of the country in pre-Hispanic times. 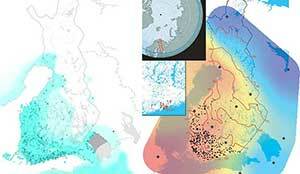 The spatial structure of genetic diversity has its origins in historical factors. 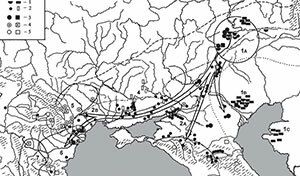 It is possible to distinguish different stages in migratory processes from abroad, with a heterogeneous regional impact. The genetic composition of central Argentina gives account of these processes. 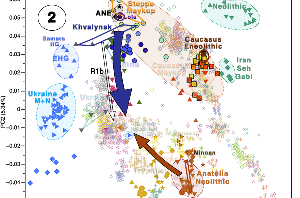 On one hand, the political boundaries between provinces influenced the configuration of the genetic structure of the populations that were formed. In this sense, Córdoba—an important economic and commercial center since colonial times—has a greater component of foreign lineages than the populations of San Luis and Santiago del Estero. On the other hand, the genetic structure of central Argentina also accounts for other processes related to different migration phases and occupations of space over the last 500 years. Similarly, negative values observed in the neutrality tests (Tajima’s D and Fu’s FS), indicate relatively recent population growth, probably associated with technological and organizational changes leading to new lifestyles and important demographic and territorial expansion . 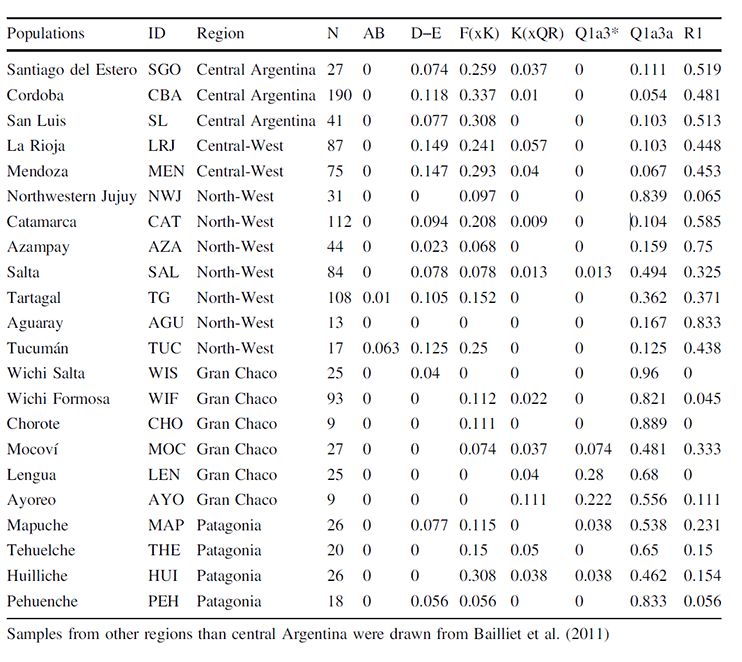 In conclusion, the molecular markers of maternal inheritance shows large genetic diversity homogeneously distributed throughout central Argentina, probably as result of a recent common origin and sustained gene flow between sub-populations. In addition, migratory events that occurred in colonial and recent times should have contributed to hiding any traces of differentiation that might have existed in the past. 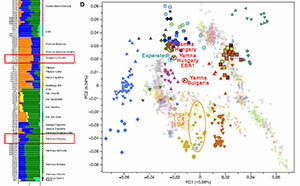 The analysis of paternal lineages showed also homogeneous distribution of the variation across the region but also a drastic reduction of the native male population, with a large prevalence of haplogroups of European origin. Previous Post Y-DNA haplogroup R1b-Z2103 in Proto-Indo-Iranians?